The Arbitrary Fox : Live Your Color! Hello beautiful readers! I was recently contacted by Tabbisocks who asked if I might be interested in sampling their tights & socks. Not long before that I was introduced to them from another fabulous IG lady who wore them. I was completely smitten they asked me and immediately said YES. These are quality tights and socks and while I was provided with several pairs to try, I completely stand by that statement! The pairs I picked out are thick and seem to be built to last. I know I will get a lot of use out of these beauties this winter. FYI, they hold up beautifully in the wash. 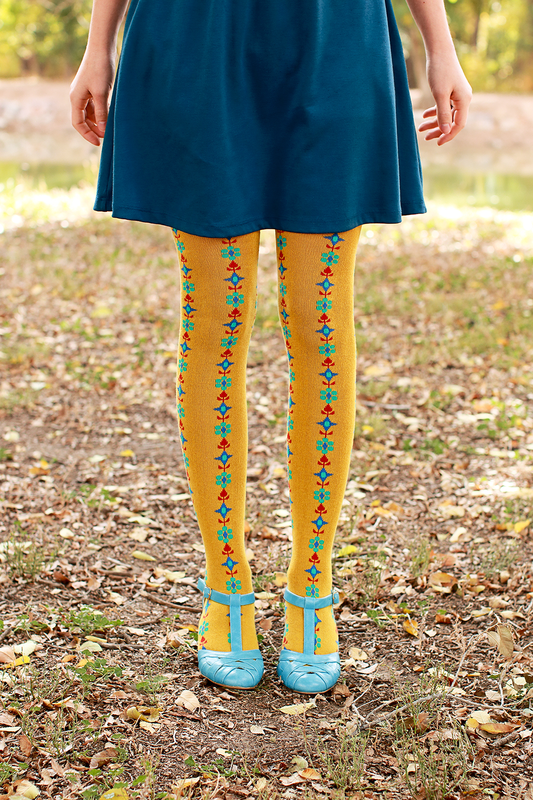 This particular pair, Tyrolean Over the Knee Socks, comes in 4 different colors. I have the color bitter yellow. It's not exactly a yellow or mustard color. It does have a slight twinge of green to it. I tried to capture its hue but my camera had other plans on this very overcast autumn day. It's funny how warm my photos look against a fall background. I could adjust the photo temp but I love the warmth these give. You can see another post with a fabulous pair of their knee high socks here. 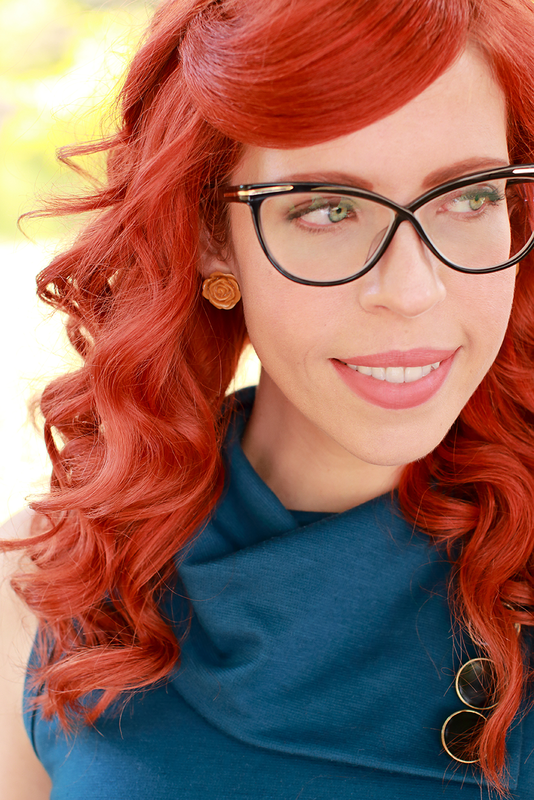 As for this delightful dress, it's one of four that I own from ModCloth. This particular color is currently not available to purchase. I can't be sure if they will bring it back but they are constantly adding new colors. You can also find this dress in 7 other colors along with another two that have long sleeves. Oh and I just have to share my glee about ModCloth sharing my photo on their Instagram account! Yea! That always makes my day. These tights are wicked cute - they look cozy too! I love that shade of yellow. I used to hate it but it goes with EVERYTHING. I have a cardigan that color and it's my most used cardigan. Haha! Those tights are stunning! Definitely going to have to check them out!